A few weeks ago a customer told me that she was going to teach her children the hymn from each month of the hymn calendar. I thought that was just simply amazing! Hymns are slowly fading from our Christian culture and I simply don’t want that to happen. Their words are rich and moving. Frankly I feel that most of contemporary Christian music simply lacks depth and substance. When I made the hymn calendar, I had no idea what kind of response I would have. I was hoping that I’d sell the same amount of calendars that I have in previous years. But if you’ve been following me on social media, you’ll know we were constantly SOLD OUT and having to reorder! We’re even out of stock right now and waiting for another shipment from our printer (hoping they come in on Friday). Of course I’m so thankful for sales, but I am most thankful that there are still so many people that still have a love for hymns. 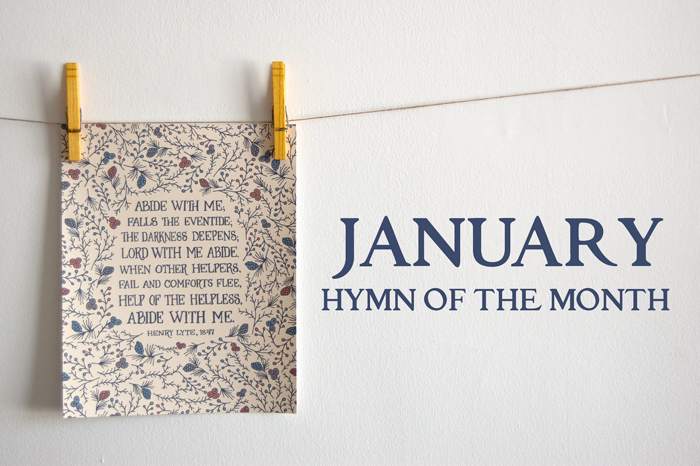 Throughout this year, I want to share each month a brief history of the hymn and the hymn writer from the hymn calendar. Henry Francis Lyte was born June 1, 1973, in Ednam, Scotland. 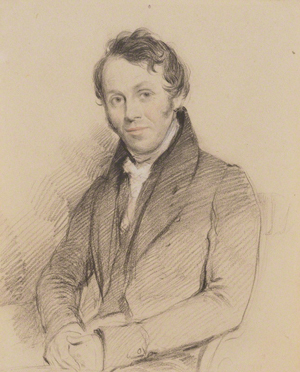 He was an Anglican divine (that’s their term for clergy) serving first in Sway, then Brixham, England. . Fun fact: he married Scottish-Irish Anne Maxwell who was seven years older than him. I’m seven years older than Dave! They had two daughters and three sons. His youngest child Farnham Maxwell-Lyte was a chemist and a pioneer in photographic processing. When Hymns Ancient and Modern was published in 1861, the editor, William H. Monk—whose three-year-old daughter had just died—composed his own tune, “Eventide,” for Lyte’s poem. For over a century, the bells of his church at All Saints in Low­er Brix­ham, De­von­shire, have rung out “Abide with Me” daily. The hymn was sung at the wed­ding of King George VI, at the wed­ding of his daugh­ter, the fu­ture Queen Eliz­a­beth II, and at the funeral of Nobel peace prize winner Mother Teresa of Calcutta in 1997. And if you haven’t heard Indelible Grace’s version of Abide with Me, then you need to do it right now. And you are gonna thank me for it. It’s simply divine. I usually tear up every time I hear it. You can listen FREE on their bandcamp site. Here is the direct link to the song sung by Matthew Perryman Jones. And I did make a print of the hymn that you can purchase here. Or you can always buy a hymn calendar! You’re not too late! It’s just January 14th and we are going to get more in stock! I just found your website through SheReadsTruth. I love your graphics! I love the idea of teaching my kids one hymn a month, it is something I have wanted to do and this is the perfect way to do it. Thank you for your beautiful inspiration!